Pet emergencies often happen during the hours after your regular veterinarian is closed so it is vital to know what to do when the situation arises. By being prepared you can help to eliminate some of the stress from the situation. The first step in being prepared is knowing who to contact in case of a veterinary emergency. Google can be helpful but if you've already done your research ahead of time into what 24-hour or after hours emergency vet clinics are in your area you can save precious time in what might be a time-sensitive situation. If you live in the Brampton area, take note of our contact details and keep them with your pet's health information. Unit 10, 1 Wexford Rd. An injured animal can be unpredictable and protecting yourself is important to ensure you can help your pet. Be careful when handling them, as pain may cause them to bite. If poisoning is suspected, have the plant, substance or product and package close by while calling the Emergency Vet Clinic. If a serious bone injury such as fracture has occurred, move the pet very carefully to avoid further damage and additional trauma to the animal. Place your pet on a flat surface or blanket to minimize movement during transport. 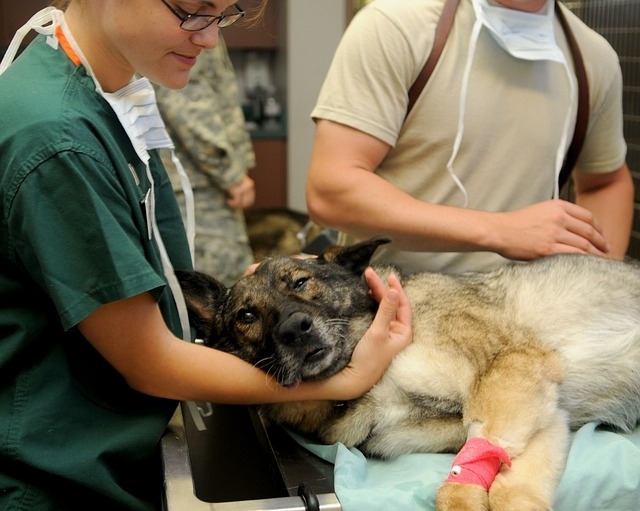 Once the animal is secured and protected from further injury, proceed to the animal hospital quickly and safely. Upon arrival to the Emergency Vet Clinic, many facilities attend to sick or injured pets on a triage basis, including ours. This helps to ensure that the animals needing the most urgent care receive it as soon as possible. The emergency veterinarian will examine your pet and help you to make the medical plans that are most appropriate for your pet's needs and welfare. Most emergency animal hospitals also have relationships with your regular veterinarian and work to ensure that your pet receives an ongoing continuum of care as it returns to full health. If you have more questions about what to expect at your local emergency veterinary clinic, contact your vet today.